Every so often i google my name. A guilty secret but i am sure i am not the only one. Once in a blue moon i discover a review that seems to have slipped under my radar. Today was one of those moments and i must further confess it totally made my day. The link is below but I have reprinted it in full anyway cos I am proud of it and I can. I recently realised that the majority of new singer/songwriters that have made an impression over the last year or two have been predominantly female. It became quite worrying at one point, but when it came to male singers that I hadn’t heard before the fact was that of those I did hear none really shone vocally. Robin Grey has finally given me hope though that male singer/songwriters who can not only write songs but can actually sing do still exist. I know next to nothing about Robin Grey and for once I am quite happy to keep it that way. I do know that ‘Strangers With Shoes’ is his second album although it is obviously the first I have heard. These days we can Google any name and find out what someone had for breakfast yesterday when we had never heard of them five minutes ago. It makes research a lot easier of course but sometimes all we need to know about our new favourite singer is in the songs on the album we just discovered. A little mystery is a good thing. 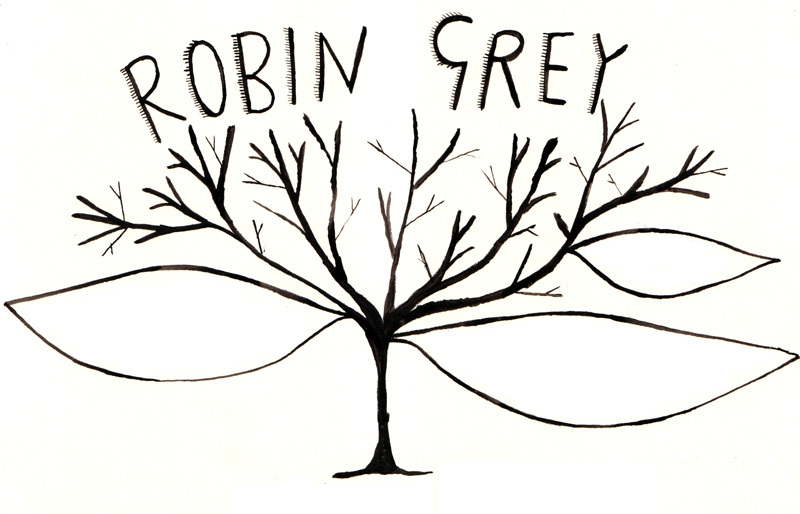 Robin Grey is the best ‘new’ male singer I’ve heard this year. His warm vocals grab your attention and while it’s not possible to come up with any comparisons vocally it feels like you have been listening to him for years. Grey doesn’t particularly sound like any other singer but he does sound strangely familiar. While I can’t imagine anyone actually disliking Grey’s vocals it’s hard to pinpoint just why he sounds so good. Just one of those voices I guess. I listened to this album maybe five or six times in the car and to be honest it did nothing for me. It was pleasant folk/pop and while it was obvious that Grey had a neat way lyrically, the eight songs didn’t really touch me in any way. Then one evening I listened to the album on headphones and Grey completely blew me away. 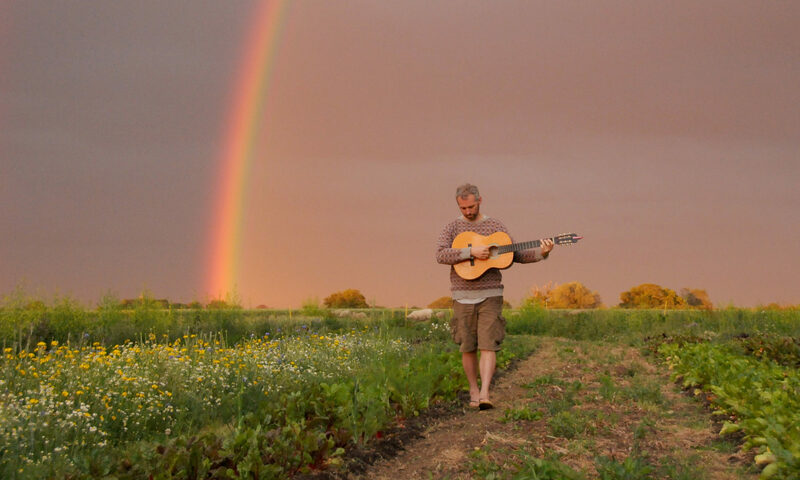 I’d take a guess that despite the songs hardly being shorn of instrumentation (there is ukulele, banjo, accordion, violin and flute fleshing out the usual guitar, bass and drums) Grey really comes to shine during those melancholy moments when we need a little real music to lift us up. I’m no technician but it wouldn’t surprise me if Grey, who recorded this music without the help of an outside producer, made this music so it is best appreciated on headphones. There’s just something about the sound on all of these songs that only comes alive when Grey is singing that close to you. It’s not just Grey’s vocals though; the opening song, ‘Younger Looking Skin’ where Grey showcases not just his talent for creating unforgettable, instant melodies but also his skill at writing thoughtful lyrics which can also raise the odd smile or two is a smart way of opening the album. It has you wondering if he can keep this high standard up throughout the album, and the answer is yes he can. In fact the following song, ‘Till Dawn’ is even better. It’s more or less a duet with a female singer who, despite quite detailed sleeve notes, doesn’t appear to get a name-check which is a shame as her emotive vocals bring out a side to Grey’s work which he alone fails to do. It’s almost as if, because this un-named singer is just so damn good, that she pushes Grey, vocally at least, to another level. With Poppy Villiers-Stuart’s flute adding a jazzy feel to the song, ‘Till Dawn’ is an undoubted highlight on this all too short eight song CD. Grey’s lyrics raise that smile again a few times during ‘I Love Leonard Cohen’ this time the female backing vocals come courtesy of Madelaine Hart and once again they add texture to the song and really do make the song complete. Because Grey uses a wide selection of instruments there is always something new to discover in his songs and this really is an album that grows on you. Although those melodies are instant and Grey’s vocals are warm and invite you into his musical world I do feel that to fully appreciate his songs you have to immerse yourself into the songs and not allow yourself to be distracted by anything while listening to them. Grey really is one of those artists you wish you could have playing just for you in your front room. ‘Strangers With Shoes’ is a nice way to spend just over half an hour and leaves you wanting more every time which must be a good thing. Listened to in the right setting Grey has produced one of the most surprising and satisfying albums I’ve heard all year.